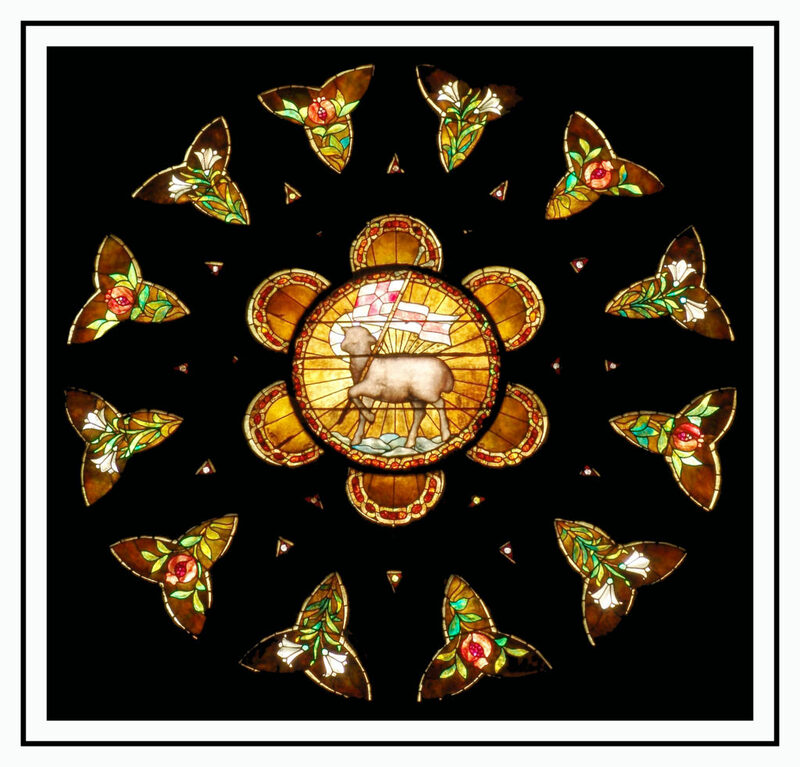 Agnus Dei, The Lamb of God, is the symbol of Christ victorious over death. The lamb, long used as a sacrificial animal in ancient rites, became the symbol of Christ’s sacrifice of himself to human death on the cross. The banner represents the resurrection. Roses and lilies, which surround the lamb, are the symbols of purity and sinlessness, often associated with the Virgin Mary as well as Jesus. This window, which was installed in late 1895, was given to St. John’s by Mr. and Mrs. Walton Ferguson in memory of their son Edward, who died at the age of 14 in 1890. The window was designed by Henry Edwards-Ficken, the architect who would be commissioned to design the Edward Ferguson memorial building at St. Luke’s Chapel in South Stamford. Edwards-Ficken also designed the Life of Christ window at St. John’s. Location: Wall of the north transcept, above the corridor entrance.